I have been developing mobile apps for 6 years now, I started when iOS 5 had just been released! During this years I have created apps for clients, both for private use and for public use. I have created some apps that I wanted to release to the app stores, and have created a lot of apps just for fun. The main platform I use is Xamarin, so I can code Android, Windows, iOS and macOS apps using my favorite language: C#. I have helped literally thousands of students to learn how to code, both online and in-person, and it has become my passion. I also love to design apps, whenever I get a little bit (or a lot) stressed when coding, I design apps, either out-of-the-blue concepts, or the next app that I have to code, or a design for a client. 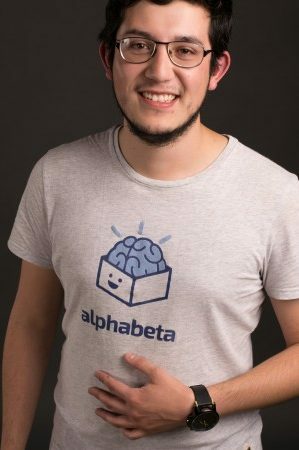 I like to think of myself as an entrepreneur, I am the co-founder of a startup, AlphaBeta, focused on helping Mexicans to adopt digital technologies in their lives, so they become more efficient, and live better lives. In AlphaBeta I have learned (and taught) how to use tools like Google Classroom, Power BI (super popular with SMEs) and Adobe Experience Design, and some of those courses, have been brought here as well. My students usually say that I know how to make difficult subjects easy to understand and that I help them learn in the best way possible: by doing.